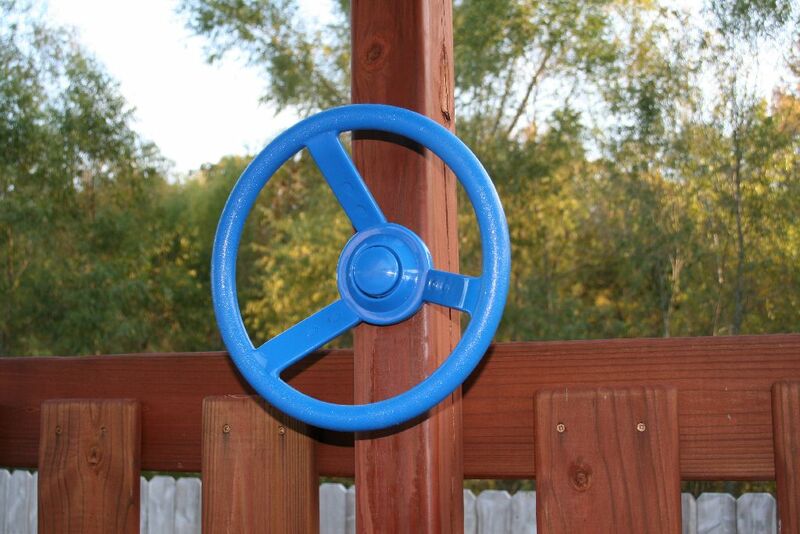 These durable, brightly colored plastic Steering Wheels for your Wooden Swing Set or Fort will delight any child. They add color and will spark your child's imagination. Our steering wheels have a strong, polyethylene design. All mounting hardware you will need is included for fast, easy assembly. A cover cap is included. Each wheel measures 12 inches wide and 1 inch in diameter and has a 3.5 inch projection from the surface on which they are mounted. 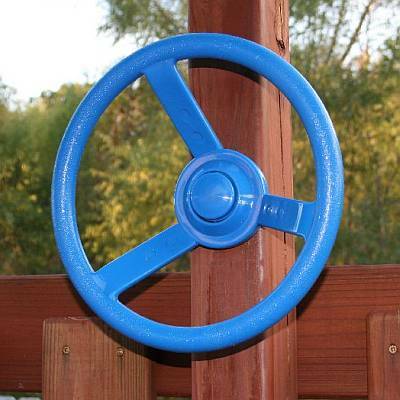 Steering Wheels are available in green, yellow, or blue.